These persons, who added risks to the danger already prevalent to help their fellow Jews – were forgotten after the war years, and no program was devised to bestow upon them the honor they merited. The current acrimonious debate between Yad Vashem and the advocates for the Jews Rescued Jews committee (Sometimes also known as the Action Committee for the Recognition of Jewish Rescuers) on a possible amendment to the Yad Vashem Law by the Knesset could have been avoided if common sense had prevailed at the start. 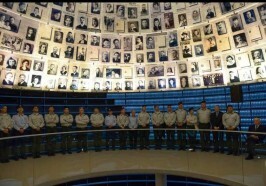 Over 10 years ago, when Haim Roet (a Holocaust survivor) created the JRJ group and asked for Yad Vashem’s support, as head of Yad Vashem’s Righteous Among the Nations Department I urged for it to be considered positively; that is, the possibility of Yad Vashem creating a special unit to examine cases of Jews who rescued their brethren, and then consider some way to honor them. This without the necessity of amending anything in the Yad Vashem Law promulgated in 1953. Unfortunately, this advice was not accepted, and JRJ and Yad Vashem went on to wage a bitter struggle for over a decade. The 1953 law stated that Yad Vashem was created, among other things, also for the “Righteous Among the Nations who risked their lives to save Jews.” The legislators did not indicate what if any honoring was involved, but left it entirely in the hands of Yad Vashem. 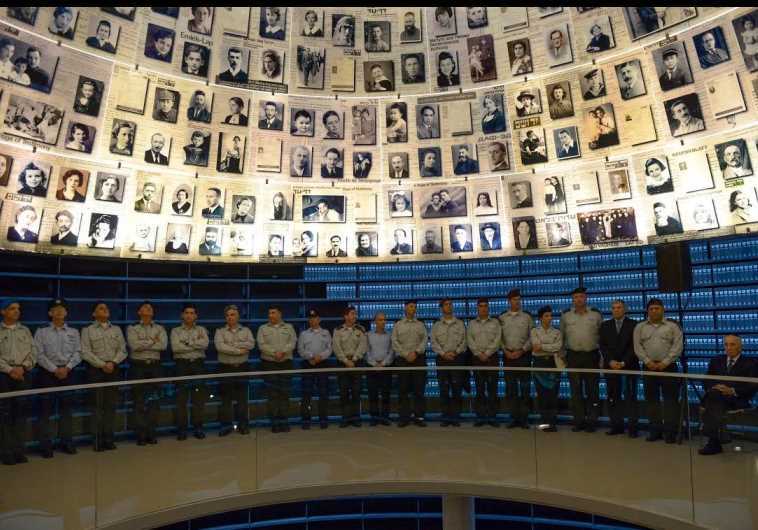 It took Yad Vashem 10 years to create such a program, after the storm raised by the visit of Oskar Schindler, and create a commission that devised criteria for the nomination and honoring of the Righteous Among the Nations. Having headed the department for 24 years (1982-2007) I take pride in having been influential in adding some 18,000 names to the list of the Righteous, and working in tandem with the Commission for the Designation of the Righteous for that purpose. My mentors were the commission’s heads – all Supreme Court justices – Moshe Bejski, Yaakov Maltz and Yaakov Turkel. I wrote eight books and numerous articles, and appeared before dozens of audiences to describe and explain the deeds of the righteous, and hail Yad Vashem for undertaking such a vast and important project. During those years, I also came across many names of Jewish rescue activists who worked in tandem with non-Jewish rescuers to save Jews from the Nazis. I have in mind not the many cases of one Jew helping another individual Jew (if non-Jewish, that would have sufficed for the Righteous Among the Nations honor), but of men like Tuvia Bielski in Belarus, Miriam Peleg in Poland, Recha Freier in Germany, Max Leons in the Netherlands, the Zionist Youth organization in Hungary, Rabbi Michael-Dov Weissmandl in Slovakia and Moussa Abadi in France (to name only a handful) who created rescue networks that saved dozens, hundreds, and in some cases even more. These persons, who added risks to the danger already prevalent to help their fellow Jews – were forgotten after the war years, and no program was devised to bestow upon them the honor they merited. In my estimation, Yad Vashem, the national Holocaust memorial created by the Jewish State of Israel, was the optimal candidate for initiating and advancing such a program – instead of being opposed to it. I worked under Avner Shalev for 14 years, and I praise him for placing Yad Vashem on the map through a vast construction and beautification program, such as the totally new historical museum – a veritable state of the art facility. Very sensitive to the Righteous program, Shalev also created a special pavilion in the new museum to honor these individuals – something that did not exist in the previous museum. He also initiated the publication of a multi-volume encyclopedia of the names and deeds of the Righteous honored by Yad Vashem. All this stands to his credit. As for myself, having retired from Yad Vashem in 2007, and currently teaching about the Holocaust in several New York colleges, I am currently prepared to place myself at the service of Yad Vashem, on a voluntary basis, to help it devise a program for Jewish rescuers of Jews, in a manner that will not in any way conflict or deflect from the role of the non-Jewish rescuers being continuously honored. The current amendment proposition to the Yad Vashem Law will neither add nor diminish the role of the Righteous program, but add pride to the Jewish people, via the State of Israel and Yad Vashem, in also bestowing gratitude to its own heroes. Again, this is not about men and women who helped an individual fellow Jew in this or other way, but men and women who created or were part of rescue networks, and aided numerous Jews to survive the ravages of the Holocaust. It is high time for such a program to be devised by none other but Yad Vashem, to inculcate the lesson among Israeli youth that not all Jews went like sheep to the slaughter (with the exception of the ghetto fighters and the partisans) – there were many who, like the Zionist youth organizations in Hungary chose to act, not by necessarily fighting the enemy, but by devising ways to save as many Jews as possible. And save they did – not one or several Jews, but hundreds and even several thousand. They also need to be acknowledged. The author, director of the Righteous Among the Nations Department at Yad Vashem during 1982-2007, now teaches at Yeshiva University-Stern College and Touro College in New York.